Mourant Ozannes is an offshore law firm advising on the laws of the BVI, the Cayman Islands, Guernsey and Jersey. Mourant Ozannes have offices across the globe, but for several years their Guernsey team was scattered across the island, making teamwork just that little bit harder. Deciding to wait until the perfect opportunity, they finally landed the perfect location, the Royal Chambers, located in St Peters Port, bringing all 155 employees under one roof. Before moving in the firm went for a complete overhaul, stripping out the old and redesigning and refitting the interior. 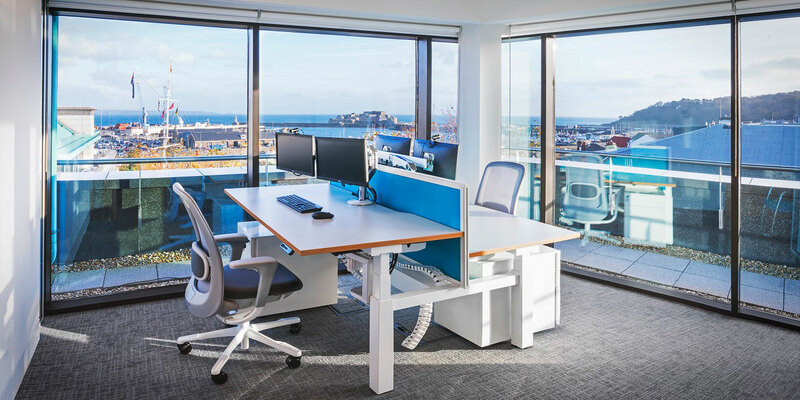 Enlisting the help of architects Axis Mason and Design & Build company POS Interiors, they created a bright and airy workspace, providing a variety of environments which utilised the stunning views out to sea. Largely traditional, the main office space reflects the identity of the brand, and utilises both open plan and cellular offices. The floor above will feature moveable partitions allowing the space to be reconfigured as required, or even left wide open as one large area, ideal for seminars and lectures which the firm frequently holds. As well as two floors of office space, there is a rotunda, which incorporates break-out areas where staff can meet informally, as well as prepare food and drinks. This variety of environments is key to the design, providing flexible spaces for the company’s variety of needs. 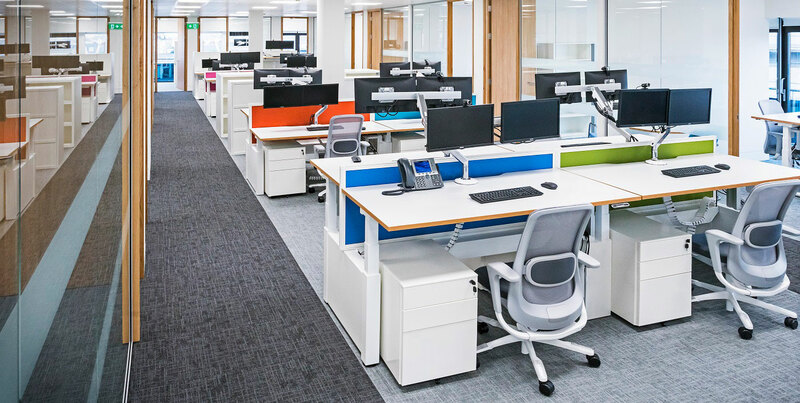 POS Interiors were tasked with providing a complete furniture solution for the firm. 185 new workstations were required, as well as over 300 storage cabinets. After a detailed selection process the client evaluated a selection of mock ups. The HÅG SoFi mesh was chosen from over a dozen different chair options from competitors. 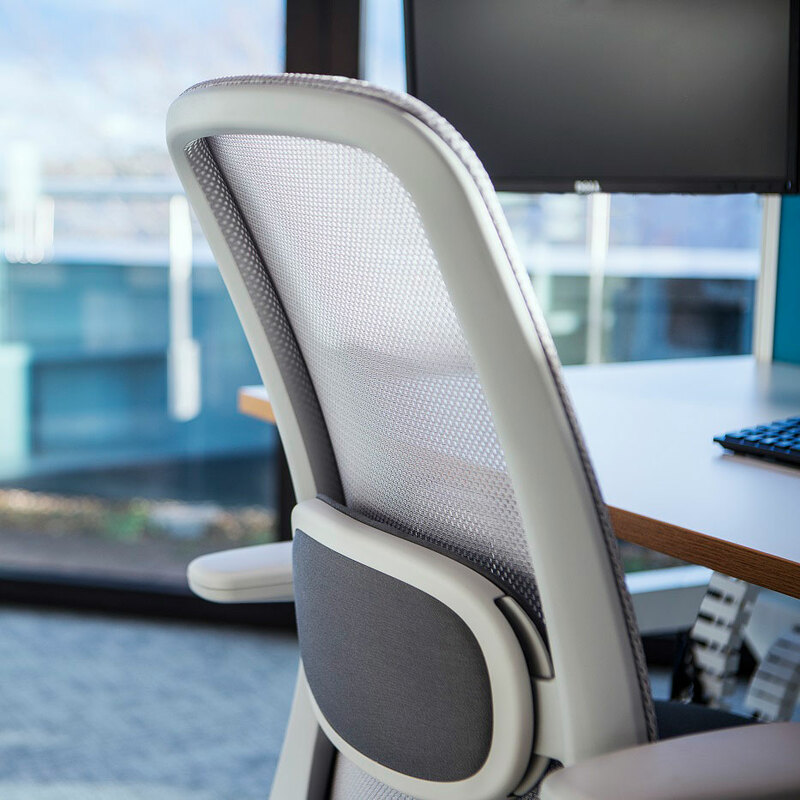 Aiming to provide an office environment which cares for the employees, the HÅG SoFi mesh was a strong choice due to its life enhancing qualities. The chair’s ergonomic design, comfort and longevity were other key aspects highlighted by the client that set it in a league of its own. 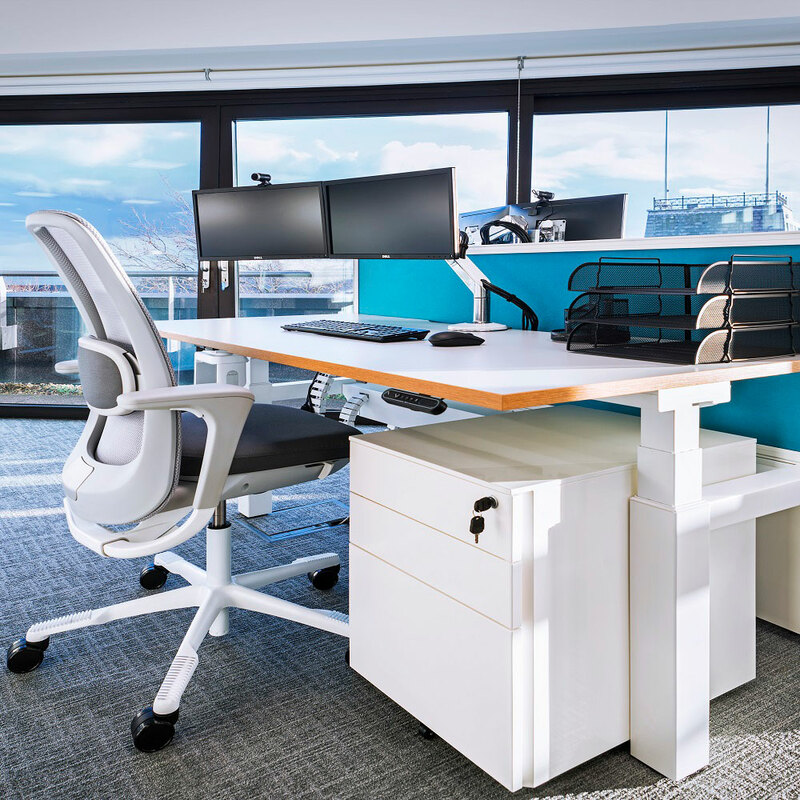 Mourant Ozannes went for sit/stand desking, becoming the first firm in Guernsey to provide sit/stand desks for all partners and staff, reaffirming their commitment to their staff’s well-being. 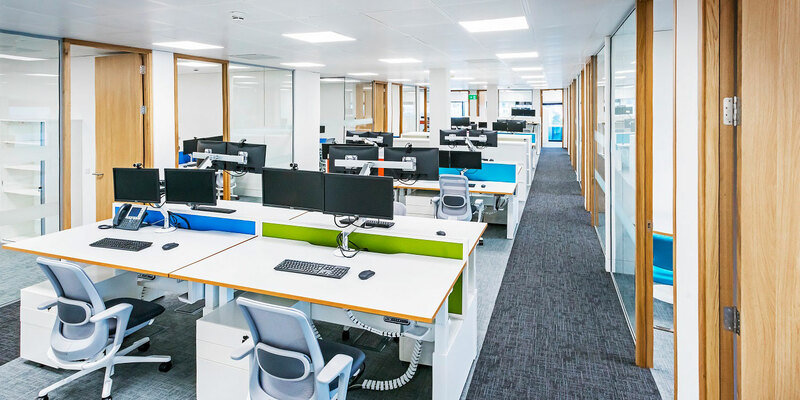 These desks were incorporated into a custom workstation fit out to cater for the IT teams specific needs. 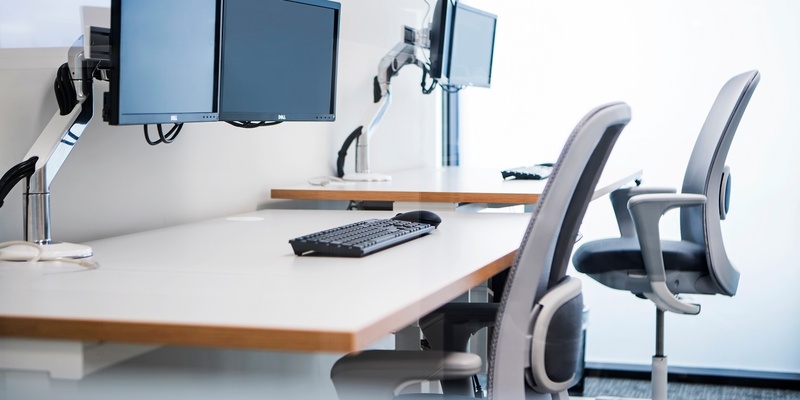 “Our move into Royal Chambers was an opportunity to improve the wellbeing of our partners and staff by providing them with a first-class working environment. 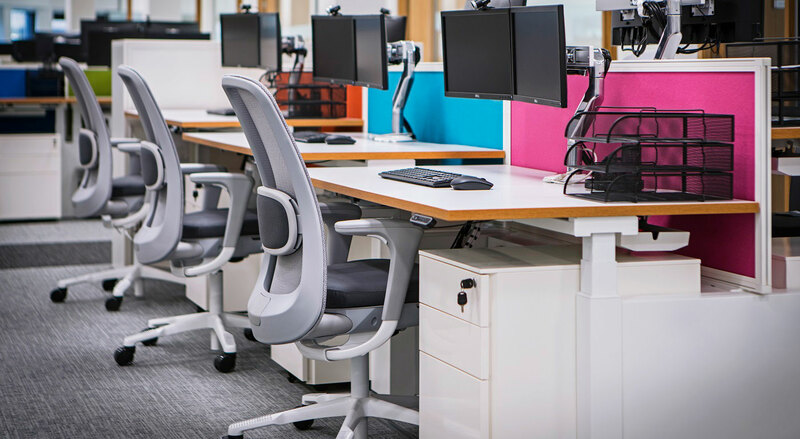 Furniture was a key part of this and we selected top of the range ergonomic chairs and modern, height adjustable desks. We have received hugely positive feedback from everyone using them.